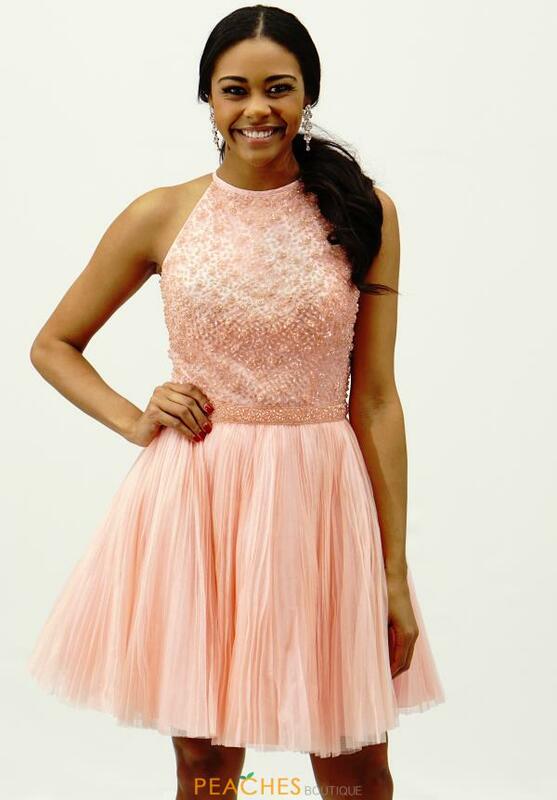 With a beaded bodice and pleated skirt, this short Sherri Hill dress 32335 is absolutely stunning. Look and feel spectacular in this alluring prom dress by Sherri Hill. Showcasing a modest halter neckline and fitted bodice intricately embellished with shimmering bead work. Finished off with a pleated skirt that will make a lovely finale.